Technology has become such a big part of our lives that it’s almost inconceivable to imagine a world without computers, smartphones, and tablets. In the last two or three decades, the explosion of technology has meant that virtually everything we do can be enhanced by technology. Even our households have not been left behind. Today, you can have your home fitted with remote devices that will control your electronic appliances, lighting, and heating. Such a home is commonly known as a smart home. Some of the benefits of having a smart home include convenience, energy efficiency, and cost savings. Although most homes are not fitted with these smart products during the construction stage, it is possible to retrofit them even in finished homes. How far you go depends on your budget and the available time. Your enthusiasm will also play a key role in determining how much you are willing to do to make your home a smart home. How do I make my home a smart home? One of the biggest challenges for any person who wants to automate his home is where to start. Although many marketers promote this as a simple Do-It-Yourself project, the truth is that it’s not necessarily so straightforward. There are a few obstacles that you must overcome before you can claim to have a smart home. 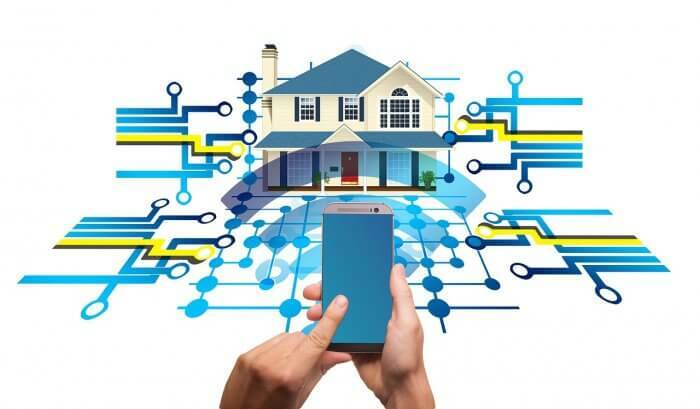 Without a reliable network connection, home automation is not possible. Most people think that home automation means going wireless. Nothing could be further from the truth. You also need wired connections. In fact, a wired connection is the best one you can have. This is because any device you install not only needs internet but power as well. A Wi-Fi connection also needs wired connections to connect the different access points around your home. Once every area is connected, you can start enjoying the convenience of wireless connections. After you install your internet connection, the rest of your automation project will flow from there. You want a strong connection so that everything can run smoothly including your TV streaming devices. This is what will allow you to stream music and video content from online services. Today, TV streaming devices offer great value for very little money due to the fact that they are a good substitute for pay-per-view TV which can be quite expensive. Imagine being able to control your home’s lighting system from your smartphone. Or being able to put your lights in party mode when entertaining guests in your home. Lighting control is a big part of the reasons why most people would love to have a smart home. You can incorporate remote dimmers, exterior lighting control, custom lighting scenes, switch consolidation, and energy management among others. Our busy lifestyles mean that sometimes our homes will be left unattended for long periods. This explains why more and more people are installing cameras in their residential homes. Now it’s easier than ever to install cameras in and around your home without the need for extensive wiring. You can even integrate a camera with your garage door opener. This helps especially during those times when you doubt whether you shut the garage door. You can also be able to unlock the door while on the road for the delivery people to drop supplies and lock it again once they leave. How about the ability to stream your favorite TV channel online free of charge? With TV streaming devices, you can be able to access thousands of channels from all over the world. You can also use the internet to stream your favorite music online from any part of your home. In this case, the internet becomes your “jukebox”. Although it costs some money to have a smart home, the benefits definitely outweigh the cost. It improves your quality of life, saves you money in power bills while also helping in environmental conservation. If you haven’t considered this idea before, you may want to start now. NextWhy Marketers Can’t Survive Without Big Data?